Está publicado o artigo da minha comunicação na Conferência Internacional “Philosophy of Science in the 21st Century – Challenges and Tasks International Conference“. Para ler o artigo integral na C2PL, Comunidade de Política de Língua e Planeamento Linguístico no Repositório Aberto da Universidade Aberta, clique aqui. “The first assumption of Hyperphysis is that “there is an objective Reality. This Reality is observer-independent, yet, it is understood that the observer interacts with the very same reality being able to change it and of course of being changed in a greater or lesser degree.” This principle of the existence of an objective Reality explicitly includes ideas, as J. R. Croca recently defined. Language Planning has evolved from his first steps dedicated to “nation building” to a present framework that was first enunciated by Robert L. Cooper as a tool for Social Change, and recently by Bernard Spolsky as a broader, more flexible management tool, understanding the change of, either societal or diverse sizes of communities, always including, obviously, the individuals responsible for the proposed change. 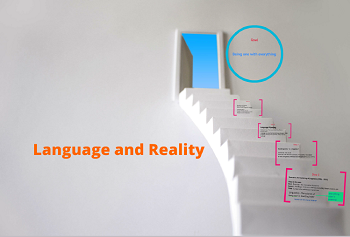 Language as been the object of study of a science – Linguistics – that has difficulties accepting the inherent social nature of his object, pushing out this social nature of language to an hyphenated science: Sociolinguistics. This is far from peaceful. As A.-J. Calvet has stated, it is impossible to exclude the social nature of Language, therefore, there is no Linguistics that is not Sociolinguisics. This entry was posted in Soltas. Bookmark the permalink.